Sri Lanka will face a massive social challenge to provide income, health and other types of support to its elderly population in just over two decades, says a new World Bank report “Addressing the needs of an aging population” released recently. The country’s population will grow to be as old as Europe or Japan’s today, but will have much lower levels of income, posing a massive social challenge to provide services to its elderly population. “Sri Lanka will need to take appropriate policy measures in advance so as not to slow down economic growth, minimize impact on public health and pension spending and reduce the burden on families,” said World Bank Country Director for Sri Lanka Naoko Ishii. “Investing in healthy and productive ageing is essential- and specially, given the speed of population ageing, inaction is not a viable alternative,” she said. The report examines four key challenges and the related issues of ‘How to reinforce traditional family support to old people’; ‘How to improve formal old age income support program’; ‘How to improve healthcare and long-term care to support an aging population’; and ‘How to mitigate the slowdown of GDP growth when one of key production inputs - labour - will start shrinking in the coming years? The report uses a variety of data sources, but draws mainly from a special 2006 survey that the World Bank conducted to learn about the socioeconomic and health status of elderly in Sri Lanka. One of the key findings of the survey was that the demographic transition faced by Sri Lanka will be particularly dramatic. Not only is Sri Lanka’s population among the oldest in the non-developed world, but the country is also one of the fastest aging countries in the world and the fastest in South Asia. Traditionally Sri Lankan families have taken good care of their elderly family members but the report finds some signs that this age old support system is under strain. For example the women who are the primary caregivers report of considerable stress and difficulty in balancing their careers and working life and caring for both children and parents. Institutionalization of elderly is a last resort and there is also evidence that, as in higher income countries, those elderly who can afford to do so prefer to live alone with their spouses. Other support systems for elderly will become thus even more important. But the report finds that formal old age income support systems have limited coverage and inadequate benefits and are financially unsustainable. Thus currently most elderly must rely on family support or very low benefits from the social assistance programs. Health systems are also not ready to address the needs of an aging population. The treatment of non-communicable diseases is outdated and relies on under-financing and under-treatment of cases, health systems do not provide continuous or integrated care for the elderly that allow systematic screening for illness or disability, and many elderly patients who require secondary prevention do not receive it. Labour market institutions too force many workers to withdraw from employment earlier than they want to. Key Policy Recommendations are to support informal care arrangements of the most vulnerable of the aged; strengthen formal income support for elderly; re-orient the health system to respond to an aging population and countering labour force declines by improving employment, productivity, and choice. 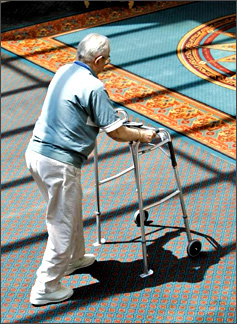 Under the support for informal care arrangements the report suggests expanding social welfare and care services targeted at the most vulnerable, providing community-and home-based support services for the sick and frail old people, as well as increasing the capacity of nursing homes to care for old people. In strengthening formal income support for elderly, the recommendations are to improve social assistance programs (including Samurdhi) delivery to old people, integrating retirement schemes for private and public sector workers, as well as various schemes for informal sector workers, and encouraging the expansion of coverage by fiscal incentives such as targeted matching contributions . Re-orienting the health system to respond to an aging population will require developing a health system that enables Sri Lankans of all ages to achieve healthy ageing, minimizing the costs of the health system, and reducing out-of-pocket catastrophic health expenditure. Detailed recommendations include strengthening health promotion and prevention to ensure better quality of remaining life of old people, using the maternal and child health network of the Ministry of Health for geriatric assessment, prevention, and rehabilitation, and improving, and increasing public healthcare expenditure to avoid patients shifting demand to the more expensive private sector. To meet the prospects of a shrinking labour force, the report outlines the following policy actions: increasing participation rates, particularly of women and of old workers, including by introducing inflexible retirement ages and increasing part-time/flexible working opportunities, improving the productivity of the labour force by improving skills of older workers, promoting formalization of the economy and improving health outcomes for informal sector workers, and improving the choices of old workers, allowing formal sector workers work longer as well as allowing informal sector workers to withdraw from the labour market if they wish to do so, rather than being forced to work until health reasons prevent them to stay active.